Pat Everly has 40 years serving many roles in the electric industry. 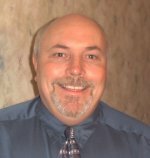 Pat started his career with Philadelphia Electric Company in 1979 and spent the first 11 years in electric production. These eleven years were spent in both nuclear and fossil generation facilities. Pat's exposure in the fossil generation environment covered all facets of the industry with coal, gas, oil, and dual fuel facilities. This provided Pat with working experience with combustion turbines, once thru and drum-type boilers, demineralization and wastewater plants, along with SO2 flue-gas scrubbing plants. Pat then moved onto the Pennsylvania, New Jersey, and Maryland Interconnections where he gained extensive experience in the operation of the first power pool in North America. At PJM, he worked in system operations before moving into the role of the Training Supervisor for the PJM System Operating Personnel. It was during this time that simulation scenarios were, not only incorporated into the normal training cycle, but also utilized in the control room position qualifying tests. While filling this training role at PJM, Pat served as the Chairperson of the PJM Dispatcher Training Task Force, Vice-Chair of the NERC Certification Examination Working Group, and continues today to serve as the Chairperson for the IEEE Working Group for System Operator Training. In addition to the role he played in System Operations training, Pat was also involved with the training efforts for PJM markets that included Market Based Rate, the PJM Regulation Market, and the PJM Two-Settlement System. Pat left PJM to join the NERC staff as Manager - Certification. In this role, he was responsible for the administration assistance for the WECC System Operator Certification Program and the PJM System Operator Certification Program. In addition to the personnel certification responsibilities, Pat also participated in many Control Area Certifications and Reliability Coordinator Audits. Both of these efforts included reviews of training programs for System Operators. Pat has also been a guest speaker at the Iowa State System Operator Short Course, American Power Dispatcher Association Meetings, and various regional seminars throughout North America.